I know I have been MIA lately, but I hopefully I can get back in business in the next few weeks. 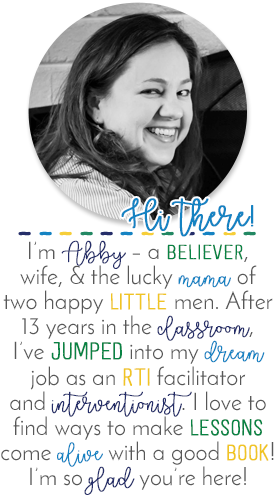 :) In the meantime, my blogging buds and I have gotten together to bring you the best and brightest ideas from our classrooms, so let's get started! This month, I wanted to share the tricks my teaching partner and I use to grade papers and create flexible groups for monitoring and working with our students. It's made grading papers a little less stressful, and I'm able to keep see who is struggling with a new skill in a format that works for me. First, we start by creating a document that lets us place all 40+ students on one page. We use a set of 3 columns to sort the kids into 3 different groups: kids that typically "get it" every time, kids that will probably get it, and kids who tend to struggle with new concepts. We don't do this after the first day or the first week. I didn't even start this until a few weeks ago - and I wish I'd done it sooner! M does this after about a month with the kids so she has time to get to know them, their strengths, and their weaknesses. One of my favorite "teacher nerd" moments is when we look at our lists together. It's really eye opening to see which kids excel (or struggle) in both math and language arts. Even more interesting, it can be a big indicator for which kids we need to target with RTI strategies if we suspect a learning disability. Often times, those children will show a discrepancy in strength between math and language arts! We also use a "shrunken" version of the lists as a way for students to turn in their papers. Students find their name under the group, and turn it in accordingly on the tray. We both have a set of 3 trays in our rooms, so this makes it easier for the kids to turn it in. Also, we tend to pull the papers from the stacks as we grade. This makes it really easy to see who forgot to put their name on their paper! If I have 6 papers in a group, and only one of them is missing a name I know it automatically belongs to ______ because she's the only kiddo I haven't scored yet from that group. Using a Word document or Power Point to make the lists also makes it easy to move kids between groups as the year progresses. M also likes to shrink a single page to get two days worth of grades on a single sheet. When she's introducing new concepts in math, it makes it easier for her to see which kids are really struggling and who is starting to make progress with the new skill. I hope this is something you've found helpful! I can't wait for you to hop over to my friend Cyndie's blog at Chalk One Up For the Teacher to check out some fabulous ideas you can use this month for Read Across America! She will have your classroom cute and stylin'. Your kids will love it!! 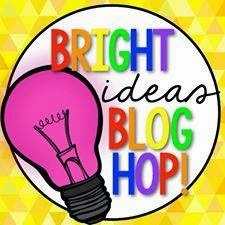 For more incredibly bright ideas from the rest of my blogging buds, check out the link up below. I know what I'm doing for the rest of the morning! Thanks for this "bright idea" I can't wait to try it in my classroom. Thanks for sharing such great idea! I nominated you for the Sunshine Blogger Award - check out my blog for details.